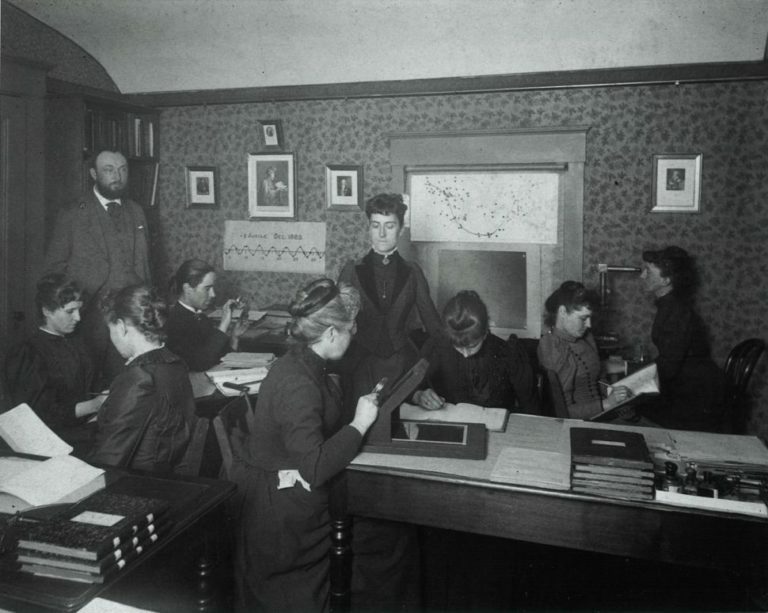 Computers (skilled women) in the Harvard Observatory processing astronomical data, 1889. With “all the main avenues of life marked ‘male,’ and the female left to be female, and nothing else,” men were the ones who could do anything. Women were supposed to be singlepurpose systems, highly programmed, predetermined systems tooled up and fit for just one thing. They have functioned as “an ‘infrastructure’ unrecognized as such by our society and our culture. — Sadie Plant, Zeros and Ones, 1998. The seminar Women in Computation provides a historical introduction to feminist theory and to its intersection with natural sciences and information technologies in the 20thcentury, discussing the genealogy of notions such as cyborg, technoscience and posthumanism and, eventually, addressing body and gender politics in the age of AI and new biometric technologies of capture and identification. The proposed literature covers technofeminism (Judy Wajcman, Donna Haraway), history of science (Lorraine Daston), cyberfeminism (Sadie Plant) afrofuturism and science fiction (Octavia E. Butler, Ursula Le Guin), autonomist Marxist feminism (Silvia Federici), xenofeminism (Laboria Cuboniks) among other authors. The course also looks at the historical and forgotten role that women and their labour practices have played in the development of computer technologies, such as during the industrial revolution (see the figure of Ada Lovelace), during WWII and in the development of the first mainframe computer ENIAC in the United States. Requirements for theory certificate (Schein): students can a) make a presentation in class and write a short essay (10 pages), or b) write an extensive essay (20 pages). Colloquia hours will be reserved for discussing individual essays and a collective final publication on the themes of the seminar. All texts will be shared via Dropbox and in German translation where available. Tuesdays 09:00:13:00 / Room: 115. Wednesdays 09:00-13:00 / Room: 115.